We all know content marketing is the new SEO, but many of us struggle with creating valuable content on a consistent basis because it’s so time-consuming. And, it’s challenging to monitor the ROI achieved through content marketing because data are fragmented across individual social platforms. What we need are integrated tools to improve the ROI of content marketing, which also means providing analytics that help optimize ROI. Today, I’m focusing on free or almost free tools (<$50/ month) to improve the ROI of content marketing. In next weeks edition of Analytics in Action, I’ll talk about some newer paid options (>$100/ month) to improve the ROI of content marketing. First, let’s talk about what it takes to improve the ROI of content marketing. The first challenge to improving ROI is knowing what content works best with your target audience. A perfect tool both evaluates how well your current content marketing performs based on some metric or metrics that map to KPIs (shares, reach, engagement, clicks …) and offer suggestions to make content curation/ creation easy. You need a community to improve the ROI of content marketing. An engaged community (get great advice on building an engaged community from Inc) amplifies your message and acts as a brand advocate to encourage purchase. A perfect tool helps identify potential engaged members of your community. Content marketing is expensive. Curating content that works for your audience from the millions of potential pieces of content available online takes time. Crafting posts (or modifying automatically curated posts) takes even more time. A perfect tool makes it easy to share content you curate or create. Hootsuite is a great tool for managing content marketing — it takes a lot of time out of the process and provides some resources to improve your ROI, such as autoscheduling so posts appear when your community is likely to see them. The free version provides management for 3 platforms and some simple analytics. Additional analytics are available for a fee (which I happen to think is pretty steep). The paid version allows integration of additional platforms and analytics. They also offer Houtsuite University to help folks just starting out with content marketing. Sproutsocial gives more control over content marketing and help improve the ROI of content marketing, but it comes at a price. The major advantage is the enhanced ability to actively build relationships with your community and build that community so you get more earned media. The free version of Buffer let’s you schedule posts (either by using the browser widget, selecting from their curated content, or by creating your own posts). The paid version offers scheduling suggestions to improve the ROI of content marketing. I recently started using Buzzsumo and find it really simple and helpful in finding trending content across any keyword. Looking at the resulting report (below), you see you get valuable insights about major players associated with this keyword and how much traction they’re getting across social platforms. You could, for example, reach out to these individuals and build relationships that promote your own content marketing efforts. And, don’t forget to look at the backlinks and shares already accumulated for each piece of content. Storify is perfect for those days when you just don’t have the bandwidth to create fresh content — and we know producing fresh content on a consistent basis is important to improve the ROI of content marketing. Storify works by scraping social platforms for content based on keywords and location. Now, I think it’s dangerous if you use Storify to build long-form content — blog posts — to often because the user interface isn’t particularly attractive. If you want to see what a Storify story might look like, take a look at this one I published last year. Storify let’s you scrape text and images from half a dozen or so sites, organizing the story with simple drag and drop capability, and adding comments between content. I really like it for opinion pieces, as it brings in diverse perspectives from across the web. The story above, provides predictions for social media for 2014 based on a variety of expert opinions. Guest posts are a win/ win for website owners and folks wanting to enhance their online reputation. I get a large number of requests to guest post on Hausman Marketing Letter, mostly because my content in syndicated on Business2Community, The SAP Innovations Blog, and often on Social Media Today — which enhances the distribution of guest posts. I use a plugin (User Submitted Posts) to make it easy for me to moderate submissions (I get way more than I can use) and for authors to submit their work. I’m not crazy about the user interface (although the Pro version is better), but it does the job. If you’re interested in publishing high quality work on Hausman Marketing Letter, see my guidelines here. User generated content also taps into the social networks of the guest authors — giving you enhanced distribution of your long-form content, which can improve the ROI of content marketing by getting more eyeballs and increasing the SERPs (move you up in keyword searches) of your pages. Speaking of long-form content, a CMS (content management system) makes it easy to create, update, and manage long-form content — a blog. Many CMS themes now offer the option of creating flexible home pages and mobile integration means you serve up the same site across different infrastructures — tablets, smartphones, computers, and smart TV. I use WordPress and highly recommend it. WordPress is very flexible and easy to use without coding experience. A little knowledge of HTML and CSS allows you increased functionality, although plugins really handle many of your marketing needs. In the bad old days, websites were custom coded from scratch — which was very time consuming (expensive) and made it difficult to adopt new standards that enhance your ROI by either improving your SERPs or increasing reach. With a good CMS, you easily (and with less cost) improve the ROI of your content marketing. Storify, CMS, and guest posts all rely on analytics that assess long-form content. For most of us, that means using Google Analytics, which provides incredibly detailed analytics to manage your website. Here’s an overview of how to use Google Analytics to improve the ROI of content marketing. I use the Google Analyticator plugin from Yoast to install the proper tracking code into my section to allow monitoring of activity on my website. I also use an SEO tool to help improve how my website performs in search. I love WordPress SEO by Yoast. Once you get the settings right, this is the best SEO tool on the marketing if you want my option. What are your favorite FREE content marketing tools? Do you have experiences with these tools that improve the ROI of content marketing? Friends Visit this site http://goo.gl/zyYnnr to publish your articles for free and get 2 backlinks from each post . So Don't be late get your backlink without sigh up. 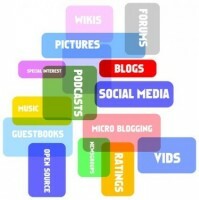 Hey Angela, would love your input on GetSocial (http://getsocial.io). 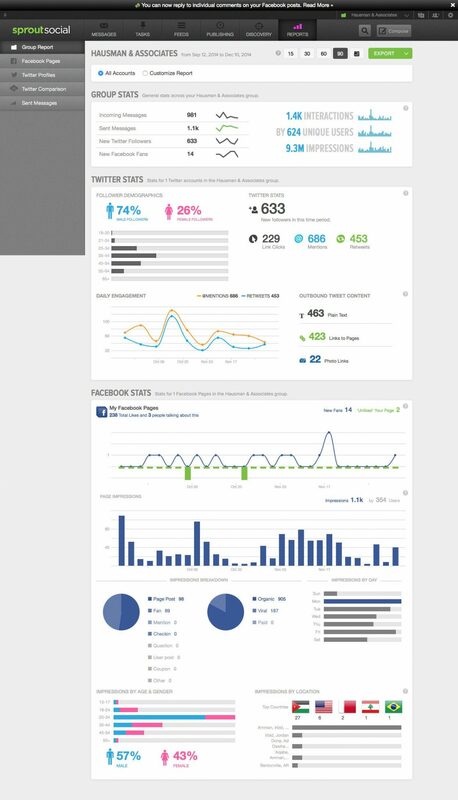 We help companies understand what social sharing means to their websites (as traffic & conversions generator). Sure, would you like to set up a live demo. Ping me at [email protected].